My four year old daughter anxiously turns to me at the dinner table, exclaiming, ‘Are my teeth purple yet? Are they purple?’ She is grinning, shoveling more and more beets into her mouth, swishing the small pieces around her teeth and tongue and lips, hoping by doing so her entire face will turn a beautiful hue of purply-pink. 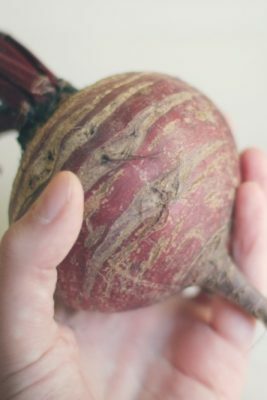 I can’t help but laugh at her excitement, knowing somehow in her mind this root vegetable is magically turning her into some enchanted fairy tale figure, smothered in royal make-up. Sadly, that’s where our beet adventures usually end. This vegetable makes a great lipstick, but otherwise is passed over by my family, no one caring for it’s bold sweetness, it’s intensity. So beets are mine to enjoy alone. 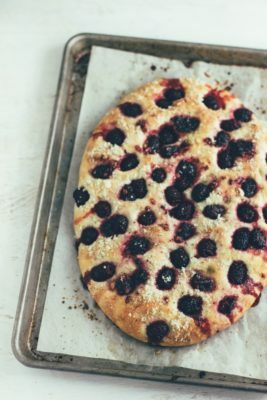 I love them roasted, warm or cold, in salads and on pizza, but I wanted to celebrate them, make them into a sweet treat, not hidden and muted, but shining and brilliant. This cake is all about the beets. It’s color proudly displays that purple flesh, muted to a bright pink, and it’s flavor sings loudly of that insistent and forceful underground beauty. And, as I’m sure you know, chocolate compliments almost everything well, taming things only towards the end of each bite, and adding color and texture. I didn’t mind that no one wanted to share this with me. Oh no, I didn’t mind one bit. 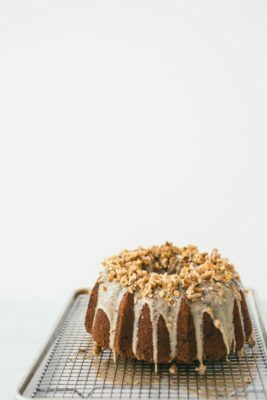 The structure of this cake is loosely adapted from Kim Boyce’s Good to the Grain. 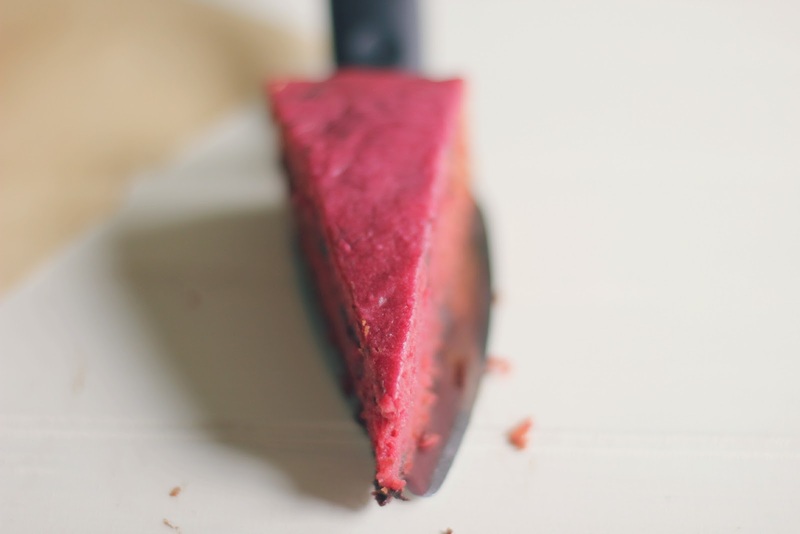 If you only sort of like beets, this cake will probably not be for you. 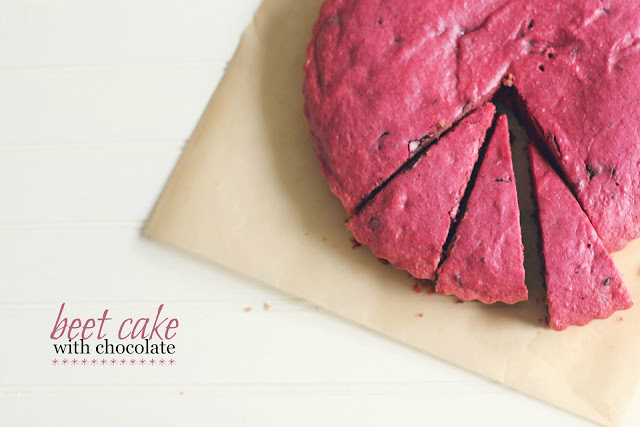 This cake is all about beets – the flavor is strong, and mixes fantastically with the chocolate. I loved this cake the first and second day, and it was so-so on day three [but still made a very good breakfast]. 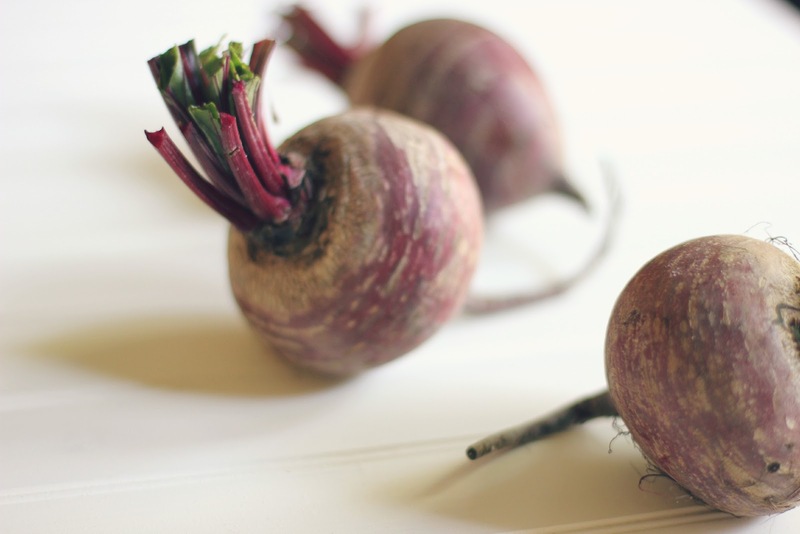 *whenever I’ve made this I’ve just roasted two medium beets, and used whatever they gave me in the cake. It’s usually around a 1/2 cup, but a little more is just fine. Trim the beets and wash. Wrap each beet in foil and place on a baking sheet. Bake in a 450 oven for about one hour, until beets are fork tender. Unwrap from foil and let cool. Lower oven to 350. Grease a 9 inch tart pan . Whisk the dry ingredients into a large bowl and set aside. Place the cooled beets in a food processor with the honey, and process until smooth. Add the oil, buttermilk, eggs and vanilla and process until smooth. Transfer mixture to a large bowl, and fold the dry ingredients into the wet, gently mixing until combined. Add the chocolate and mix to combine. Pour the batter into the tart pan, spreading evenly and smoothing the top. Bake for about 40 minutes, until a skewer inserted into the center comes out clean. Let cake cool in the pan, and gently remove. Cake will keep at room temperature, covered, for two-three days. I absolutely love this! When I’ve made chocolate beet cake before, it always looses the color because I use cocoa powder or melted chocolate. I’m excited to try it this way! not only is the cake gorgeous, but i’m so curious about the flavor! It’s very beet-y. Very very beet-y. 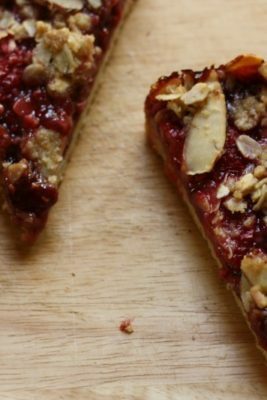 Do you think you could make this with beet juice instead of pureed beats? I’m not sure about beet juice, only because it might make the batter too liquid-y. However, you could try swapping out the buttermilk for sour cream and using beet juice – it would give it a similar texture as pureed beets and buttermilk. Let me know if you try it! I love the the beets are the star of the show here rather than just being an add-in with little purpose. Gorgeous. Thanks Kathryn. I like them front and center, too. Perfect. Love your words and photographs as always, lady. And this cake! Literally gasped when I saw the shock of colour show up in my reader. Such a beauty. 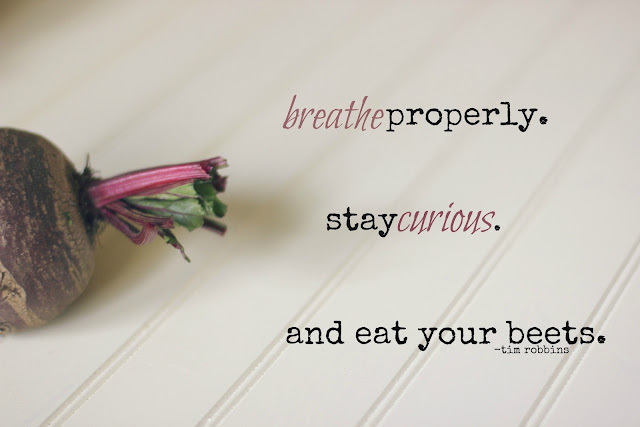 Like you, I am the only beet-lover in my house, and had to smile at this post. That cake is shockingly pink, and would be fun to take to a garden party potluck. Yes! It’s a nice little everyday cake – not too fancy, but fancy enough. I don’t eat cake, but I’d INHALE THIS. Yes, I’ve been trying to avoid food coloring. This would be a fun pink cake! That is a sensational colour! I love how the beets take centre stage here. your writing, photos and everything are just lovely!! I’ve never had beets in cake form before. This is so beautiful. Beets really are magical! This turned out horribly, for some reason the colour eas completely lost, not even a trace of red/pink. Did you use any food colouring in yours? Taste- horrible, landed in bin after a few days, since no one wanted to touch it despite the generous amount of chocolate! I’m sorry you had trouble with the cake! 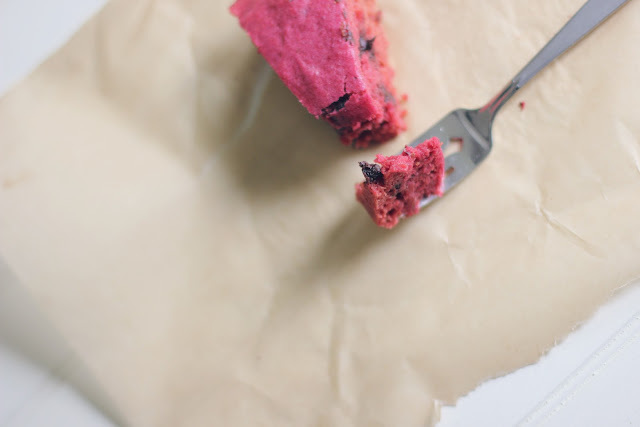 I did not use food coloring in mine – it really did turn out that pink. 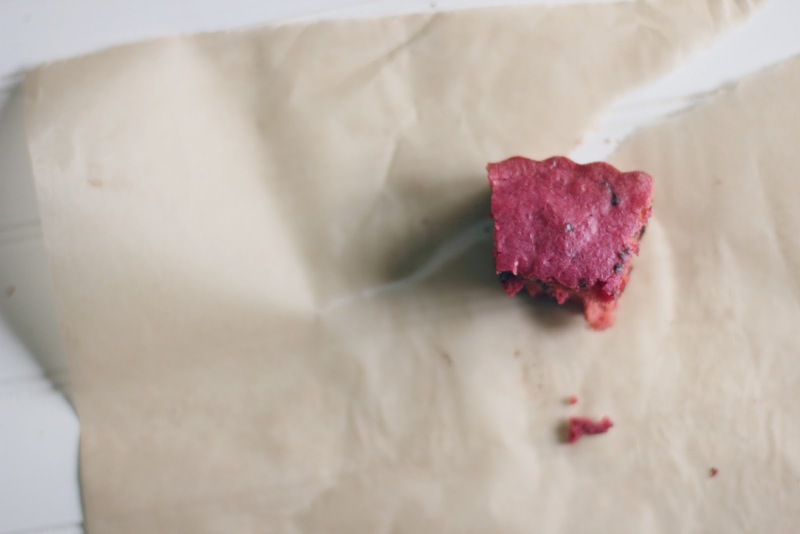 I did have mixed reactions to this cake – I really love beets and enjoyed the strong flavor, but it is not for everyone. Did you change anything in the recipe, like use a different sweetener? No, added more chocolate actually! Maybe I’ll give it a second chance, cause I love how yours turned out! This cake is so delicious! The beets make for such a perfect texture and moistness. The chocolate pairs so well and creates beautiful contrast with the vibrant pink. I plan on pairing it with cream cheese frosting. 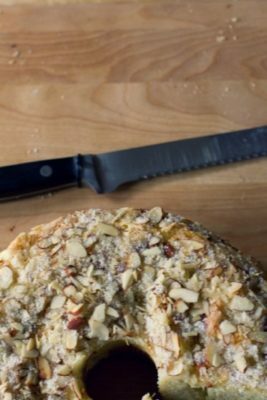 I was so so excited to try this recipe out after seeing the enticing picture of your cake. But I terribly failed. The colour turned into brown after I added chocolate and also the cake’s become extremely dense. What could be the probable reason? I’m so sorry you had trouble with the cake! Was the batter warm when you added the chocolate? I’m not sure why it would turn brown with the chocolate unless the chocolate melted too quickly. Is the cake dense like the baking powder didn’t activate, or more dense like pumpkin bread? The beets will give a similar texture like pumpkin bread, and the whole wheat flour will make it a bit more dense as well. Is the baking powder fresh, or older? It could be expired and didn’t work properly. Thank you so much for this recipe! My family and I absolutely loved it. Do you happen to have a black forest cake recipe?